BCDB Rating: 4.6/5 Stars from 3 users. This page has been viewed 22 times this month, and 915 times total. 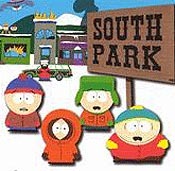 Cartoon Characters: Liane Cartman, Wendy Testaberger, Mayor McDaniels, Stan Marsh, Eric Cartman, Mr. Herbert Garrison, Officer Barbrady, Kyle Broflovski, Kenny McCormick, Jimbo Kearn, Kathy Lee Gifford, Chef. 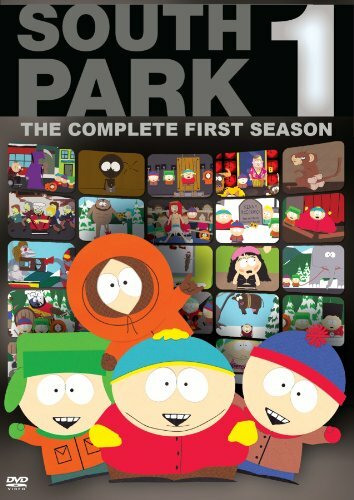 Voice Actors: Shannen Cassidy, Trey Parker, Matt Stone, Karri Turner, Isaac Hayes. Directed By Trey Parker, Matt Stone. Produced By Anne Garefino, David Niles White, Brian Graden, Deborah Liebling, Matt Stone, Trey Parker, Frank C. Agnone II. First Aired on August 27, 1997. When Cartman's environmental essay wins a national contest, Kathie Lee Gifford comes to South Park to present his award on national television. Kenny's death: Kenny dies when he's catapulted into the air and gets shot by Mr. Garrison (who's trying to kill Kathy Lee Gifford) and lands on the flagpole, thus impaling him. You can watch this episode today on your computer. Just click below to start viewing "Weight Gain 4000" online now. Do you have anything to add to this page? Have we made any mistakes... or do you have any additional information about Weight Gain 4000? If so, we would love to hear from you. Please send us a quick note with your additions or corrections to this page, and we will make the corrections as soon as possible! Do you love Weight Gain 4000, or do you think it is the worst cartoon ever? Let us know what you think! Surely you have an opinion... so share what you think. Take a minute and post your own comments about this cartoon here. Weight Gain 4000 by Big Cartoon DataBase is licensed under a Creative Commons Attribution-NonCommercial-ShareAlike 4.0 International License.